Through a series of Locally Sourced and harvested Dishes, you’ll discover how Maine’s people, environment, and economy interact to shape a celebrated Food Destination. We were given a deeper appreciation of the importance of concern for sustainability, and the value of partnerships, friendships and spirit within the restaurant/farmer/fisherman community. This wasn't your typical food tour. I loved how Maine Food for Thought took the time to tell a story behind Maine's food scenes. This is not just entertainment but an education to hopefully motivate people to participate in the movement to develop, and save our natural food sources and to choose to eat locally grown food. The knowledge gained was as incredible as the flavors we tasted. Overall, a treat for the palate and the mind. We were happy to patronize establishments that value their local farmers/fishermen and give back to their communities. My wife and I have been on at least 10 walking food tours in Europe and I would argue that this was the best... superb food and fascinating. Incredible, incredible tour. If you miss it, you are most certainly missing out. 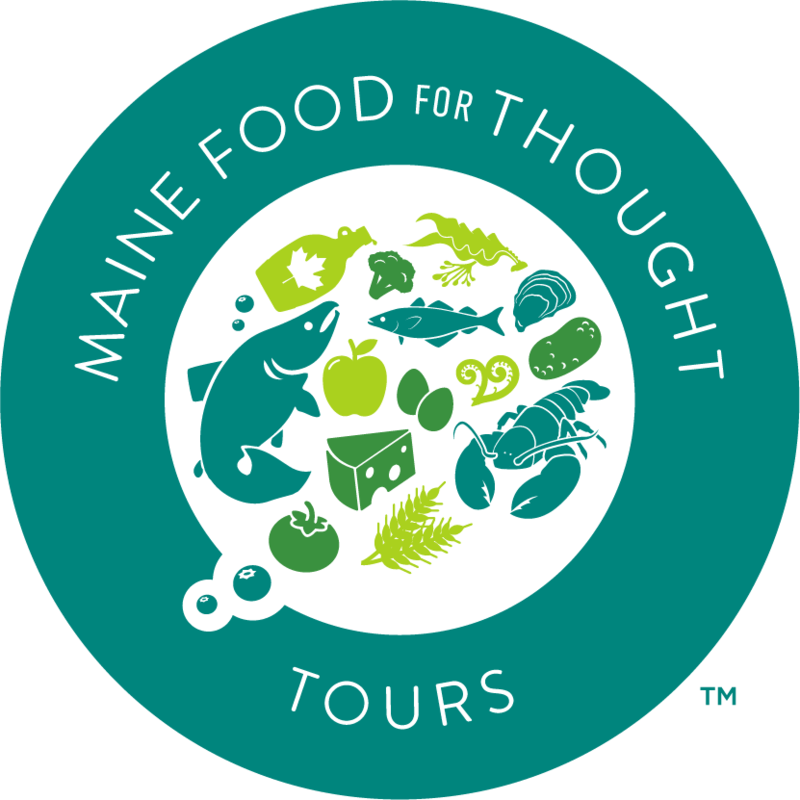 On our signature tour, enjoy delicious seasonal tastings from six of Portland’s acclaimed restaurants, each stop revealing a distinctive story of the Maine food system, and discover how Maine’s people, environment, and economy interact to shape a celebrated food destination. Enjoy an afternoon savoring a complementary blend of locally sourced food and “land to bottle” beverages, while discovering the journey and connections to the plate and the glass. "Their tours, launched in June, aim to tell the story about Maine’s bounty of food, its origin, its journey, and the societal and environmental factors behind it." // “We left the Maine Food for Thought Tour with our bellies full and our heads spinning."